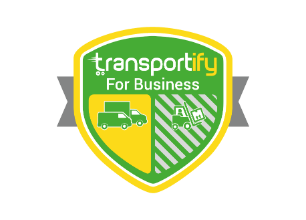 Transportify for Business is catered for professionals and business owners who are always in need of efficient supply chain logistics services. The program offers a broad suite of features tailor-made for the corporate client, including pre/post-payment options, additional warranties, and unique opt-in perks. Our program’s customer base includes corporates, SMEs, merchants and shop owners, retailers and sellers, restaurants, individuals, and even logistics companies and supply chain management companies. A 3PL firm can utilize Transportify as its fourth party logistics provider for on-demand situations, last minute client orders, or when traditional fleet resources are occupied by busy end-of-month and holiday periods. Whether you need a third party delivery service or cash on delivery courier in the Philippines or in select areas in Asia, Transportify for Business has you covered. In this age in the Philippines where development continues to rise different small-to-medium business entrepreneurs (SMEs) emerges. Such businesses would require a properly managed logistics system to distribute their products effectively and to better serve their customers, so they need to find a third party logistics provider in the Philippines. Transportify for Business is catered for professionals and business owners who are always in need of efficient supply chain logistics services. Our Program does not only provide logistics assistance but also offers additional benefits. Enrollment isn’t just fast but also free. Just sign-up on our website or contact us. Customer support of 24 hours 7 days a week. Flexible Payment Terms. Clients can pay either through postpay or prepay method. Clients can also pay through bank transfer or check. Prepay credits also never expire. Avail our POD/COD service since we know how vital it is for your business. Warranty per booking to show how much we value your products. This warranty applies to the customer’s insured items that were lost, stolen, missing, or damaged during pick-up, transportation or shipping, and delivery during a Transportify booking. Select trained drivers that underwent extra training the for the handling of cash, check, and delivery receipt. Clients are provided with their own business web dashboard, a bonus referral, and your very own account manager. Our program’s customer base include enterprise clients, such as a freight logistics company that can utilize Transportify as its fourth party logistics provider for on-demand situations, last-minute client orders, or when traditional fleet resources are occupied by busy end-of-month and holiday periods. With Transportify, having a business with good courier service and delivery services in the Philippines is possible. You no longer have to struggle in delivering goods. Now, establishing your business’s branding among current and prospective customers is easy! Whether you need a third party delivery service or cash on delivery courier in the Philippines or in select areas in Asia, Transportify for Business has you covered. Transportify. Rated 4.7 / 5 based on 230 reviews.